Gisela represents the interests of companies and business associations in a variety of trade matters, especially antidumping, subsidy and safeguards proceedings at UNO’s office in São Paulo. In regard to trade remedy proceedings, Gisela has experience in data collection, preparing questionnaire responses, analyzing and performing dumping margin calculations, conducting injury analysis, leading on site verifications and drafting final briefs. Additionally, Gisela also has significant experience in Customs matters, specifically in the implementation of instruments for monitoring of the value of imports. 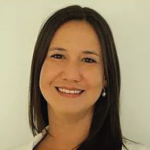 Gisela has thorough knowledge in various industries, such as the chemical and petrochemical industries, textiles, and steel and has advised clients in Brazil, Argentina, United States, and Asia.